මේක සුපිරිම Activator එකක්. 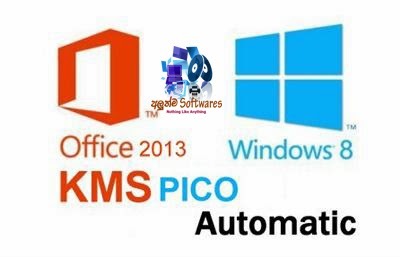 මේකෙන් ඕනෙම Microsoft Product එකක් activate කරන්ඩ පුළුවන්. පහල තියන ලිස්ට් එකෙන් මොකක් හරි තියේ නං ඒ ඕනෙම එකක් මේකට ගෙමක්ම නැ. අලුත්ම Windows 10 Final Official එක පවා Activate වෙනවා මේකෙන්.